Microsoft has added in support for Windows Marketplace for mobile, designed to improve the experience for users. Although only a nascent service, Microsoft has noted teething problems with the marketplace, and has moved to improve things. This includes stronger anti-piracy protection, and guidelines on how developers can protect their apps too. You can also now buy and browse for applications on your PC, with the applications then delivered wirelessly to phones and will install when Marketplace is run on the phone. "Marketplace has been extremely active and I couldn't be happier with the reactions from both developers and customers. We've been open for just over one month and already we can see that there's demand for an application marketplace that doesn't compromise on quality or experience." 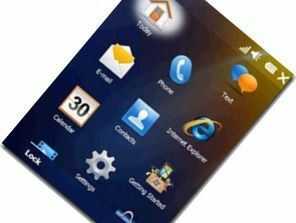 Windows Marketplace for Mobile is still in its infancy, but it needs to populate quickly in order to compete with the existing applications offerings from Apple and Google. Many have pointed out that a rich ecosystem of Windows Mobile applications already exist, and Microsoft will be hoping it can draw on this resource to help bolster numbers in the portal.